Ping! I love that duck! 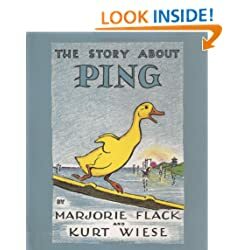 The Story about Ping (Viking Kestrel picture books) PING! The magic duck!